Lord Nelson, before the Battle of Trafalgar, wrote a codicil to his will, leaving everything to Emma and his daughter, Horatia. He entreated the government, in the event of his death, to arrange for Emma’s financial security. Even, in his final hours, he pleaded for his nation to care for his family. Lord Nelson fulfilled his duty. His government did not. The funeral was the most lavish in British History. Lord Nelson had requested that Emma sing at his funeral. They had plans to be buried side by side. Emma was shut out entirely, a foreshadowing of what was to come. There was no government assistance for either Emma or Horatia, despite Lord Nelson’s sacrifice for his country. Emma passed away on January 1815, in Calais, France, her daughter at her side. Horatia never publicly revealed or recognized that she was the daughter of Emma Hamilton. 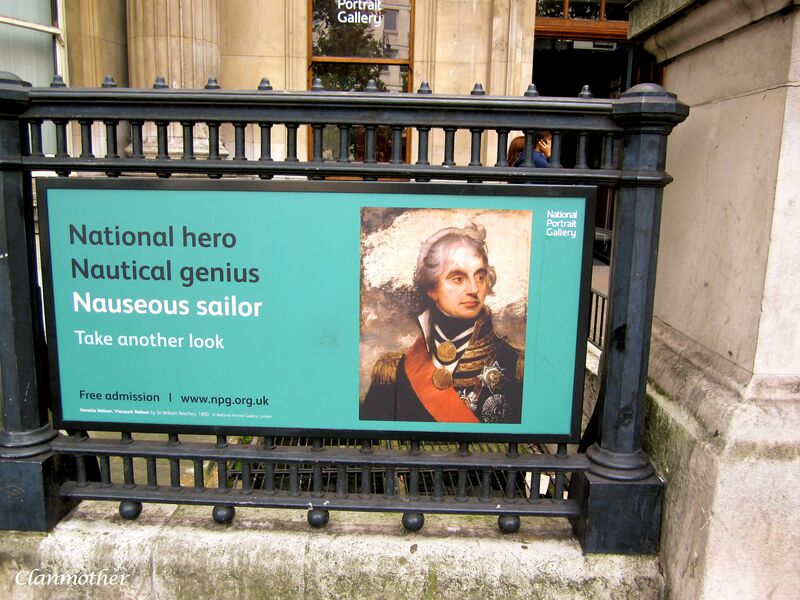 Indeed, over the years, many scholars have marginalized Emma’s relevance in Lord Nelson’s life. How foolish. In the end, Emma had the best of all outcomes. She was loved, passionately and irrevocably by England’s greatest hero. This entry was posted in Lady Emma Hamilton, Lord Horatio Nelson and tagged Horatia Nelson Ward, Lady Emma Hamilton, Lord Horatio Nelson. It’s so sad that the country shut Emma out, but you’re right, she did have the love and devotion of a really great man. You would find this interesting – Kate Williams wrote that as she was collecting the research for her book “England’s Mistress” there were many people who contacted her to say that they were descendants from Lord Nelson and the remarkable Lady Hamilton. Everyone wants to be connected to this famous couple. You always leave us wanting to learn more about your subject. I just clicked on your pinterest. There is so much to this story. First and foremost it is a story about the plight of women. While Lady Hamilton’s background was rather “tarnished” she was not unusual – there were many others. Women had very few choices and limited opportunity. Although I did not go into it in the series, the story of Lord Nelson’s first wife bears noting. She could never give Nelson a child, another issue that could curtail a women’s worth. I am so glad that you enjoyed the series!! I have no doubt that you and Thomas Jefferson would be great friends!! Oh well said!!! A fitting benediction to this post…. Thank you! It so typical that the British-Government and power even today do not recognise in full those they call upon when they need them, having said that it’s not exclusive to the British but typical at the same time. Is there a family tree Rebecca, it would be very interesting to know what happens to the family with them being 10 in total ? Yes, most place seem to think a stone with a name on is enough ? I understand that in 1994, a group of Lady Hamilton’s supporters placed a plaque in her honour in the Parc Richelieu in Calais. As for Sir William, his grave was destroyed by an owner of Slebech Castle. Also lost is the grave of Sir Charles Greville. All that remains, of course is the magnificent tomb of Lord Nelson. Which reminds us all, that life is fleeting and that each day is indeed a gift. Poor Emma/ There is much in life that is not fair. Life is rather unpredictable and it seems not to understand humanity’s concept of fairness. I always like this quote about life and acceptance. Without a doubt, as it is even today, there was an Office of Circumlocution which denied Emma and her daughter what by common sense was rightly theirs. One wonders if the French would have been more accommodating in such a case. A very interesting point. One of my 2013 books to read (if I ever get through that huge list that I made at the beginning of the year) is about Napoleon. The key in any outcome is to survive. 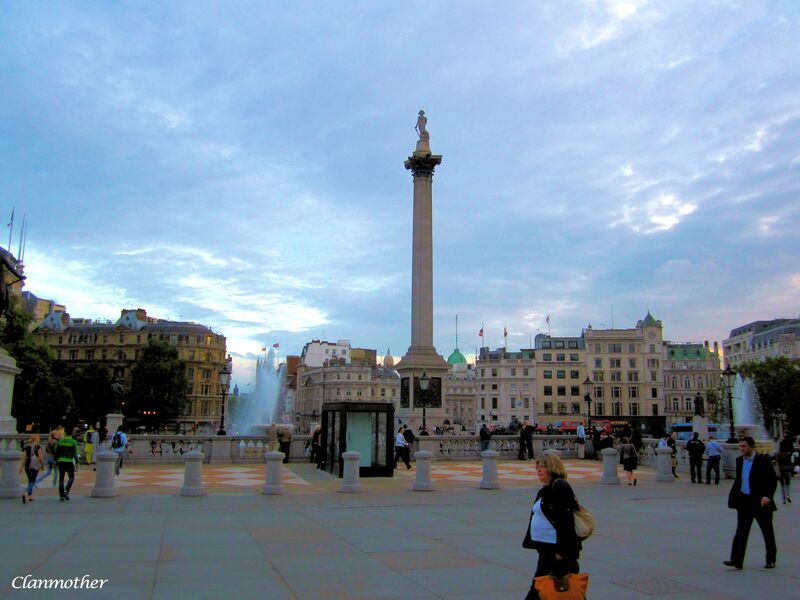 Emma’s life would have been quite different if Lord Nelson had survived. Oh the twists and turns….